For enterprises looking to protect cloud app data, Cloud Access Security Brokers (CASBs) have quickly emerged as the go-to solution. But how have CASBs matured and encompassed critical pieces of the security puzzle, from identity management to data leakage prevention? Join Bitglass and (ISC)2 on October 27, 2016 at 1:00PM Eastern for Episode 1 of the CASB Wars webinar trilogy for a discussion about the evolution of CASBs from app discovery to complete cloud security suites and basic API-based controls to more capable multi-protocol proxies. Today’s CISOs face a number of challenges when it comes to securing the move into the cloud. From a lack of cyber security talent and budgetary concerns to countless number of vendors and numerous cloud applications being acquired, CISO's are under more pressure than ever before! This is your chance to hear from your peers! RSVP Today! As a leading SaaS productivity application, Office 365 has seen tremendous adoption in financial services around the globe for its advantages over premise-based apps, including easy access, rapid deployment, and lower costs. On the security side, organizations that deploy Office 365 effectively shift the burden for app and infrastructure to the cloud vendor. Data security, however, remains the responsibility of your IT team. Migrating to Office 365 introduces several new avenues for data leakage: one-click sharing, desktop synch clients, unmanaged device access, and more. Particularly risky for organizations subject to compliance mandates. In this webinar, Jacob Serpa, Product Marketing Manager at Bitglass will detail the top five security challenges facing financial services organizations that deploy Office 365. Join us to explore how new approaches to cloud security can mitigate risk, data loss, malware propagation and more. While public cloud apps like Office 365, AWS, and Slack increase organisational productivity and agility, they aren't without security challenges. For most enterprises, these apps typically usher in cloud-first strategies that dramatically expand the enterprise cloud footprint. This webinar will explore case studies of the cloud security journey for major organisations across both the EU and the UK. You'll leave with actionable insights that you can bring to your organisation right away. Public cloud apps like Office 365 and AWS can provide your organization with increased speed and agility, but also come with security & compliance challenges that only increase as your organization expands its cloud footprint. In this webinar, Bob Turner, Chief Information Security Officer at University of Wisconsin-Madison, and Rich Campagna, SVP of Products at Bitglass, will discuss how leading organizations protect data as their cloud presence expands. The webinar will focus on actionable insights that you can bring to your organization immediately. Cloud and mobile usage has skyrocketed in many enterprises, introducing many new risks to corporate data. Cloud access security brokers (CASBs) have quickly become go-to solutions for securing apps like Office 365, Salesforce, and AWS. However, the wide ranging capabilities of a CASB can make it difficult to identify which use cases are most relevant to your organization’s needs and how these platforms solve critical challenges. RSVP for our webinar to learn the 5 most common CASB use cases! The long tail of SaaS is growing rapidly. Today, thousands of unmanaged "Shadow IT" applications are used in every major enterprise around the globe and IT departments have little visibility or control over these rogue apps. While the challenge was first simply to secure major SaaS platforms like Office 365, the new reality is a “cloud and mobile-first world” where employees often use new applications that aren’t approved and put corporate data at risk. Join Bitglass and (ISC)2 on August 9, 2018 at 1PM Eastern for the final part of this Security Briefings series where we’ll discuss how leading organizations are evolving their security to solve these challenges, what organizations are prioritizing when evaluating a solution and how zero-day technologies built for a cloud-first world are able to identify, categorize, and secure unknown apps. For John Muir Health (JMH) and other leading healthcare firms, Office 365 is often IT's first foray into the public cloud and the start of a broader initiative to migrate from premises-based applications to cloud. Most are now looking to deploy cloud messaging, file sharing, collaboration apps, and more. Deploying this "long-tail" of SaaS applications shares a great deal with platforms like Office 365, but some considerations are different. In this webinar, learn how John Muir Health journeys to secure these lesser known cloud applications and gain actionable advice that you can bring to your organization to protect data in Office 365 and beyond. Even with a renewed focus on security, cloud applications have introduced new risks that many organizations have yet to address. Powerful productivity platforms have been widely deployed in an effort to enable employee communication and facilitate collaboration. Apps enabling employee communication and collaboration cannot be secured with traditional firewalls and gateways. They require a fundamental rethinking of security – a shift from endpoint and network-centric protection to data protection. Join Bitglass and (ISC)2 on July 12, 2018 at 1:00PM Eastern as we explore the five most common security oversights that may put your cloud data at risk. Human Capital Management (HCM) platforms, like many critical enterprise productivity solutions, are quickly becoming cloud-first platforms. Security is essential for organizations that wish to leverage the power and lower cost of cloud HCM platforms, including Workday and SuccessFactors. Deploying a security solution that provides data and threat protection across all apps can help ensure a swift and seamless transition to cloud-based HCM. Cloud security is top of mind for all organizations as they migrate to SaaS and IaaS platforms like Office 365 and AWS, but many are grappling with selecting solutions that best balance employee privacy, productivity, and data integrity. While most enterprises are already following security best practices on-premises, few have extended those practices and policies to the cloud. Cloud access security brokers (CASBs) have emerged as the go-to solutions for real-time data and threat protection in the cloud. Purpose-built to solve some of these challenges, CASBs feature a suite of capabilities that can implement granular policies around data at access and at rest. Join Bitglass and (ISC)2 on June 7, 2018 at 1:00PM Eastern for a Security Briefing as we explore the most leveraged security policies necessary to protect corporate data in a cloud and mobile-first world. As healthcare organizations and healthcare affiliates migrate to cloud services like Office 365, a new approach to security is required to ensure compliance under HIPAA. To maintain compliance in this new cloud environment, healthcare firms need access controls, transmission security, identity management tools, and more. In this webinar, we discuss the critical components of an Office 365 security environment. As a leading SaaS productivity application, Office 365 has seen tremendous adoption in enterprises around the globe for its advantages over premises-based apps, including easy access, rapid deployment, and lower costs. On the security side, organizations that deploy Office 365 effectively shift the burden for app and infrastructure to the cloud vendor. Data security, however, remains the responsibility of your IT team. Migrating to Office 365 introduces several new avenues for data leakage: one-click sharing, desktop sync clients, unmanaged device access, and more. Particularly risky for organizations subject to compliance mandates. In this Webinar Express, Jacob Serpa, Product Marketing Manager at Bitglass will detail the top five security challenges facing companies that deploy Office 365, all in 30 minutes or less. Join our live webinar on 5/16 at 10am PT to explore how new approaches to cloud security can help mitigate threats like data loss, malware propagation, and more. As the enterprise adopts cloud apps like Office 365, Salesforce, and AWS, developing solid strategies for identity and data protection are the main security and compliance concerns. Increasingly, organizations are leveraging the combination of IDaaS (Identity-as-a-Service) and CASB (Cloud Access Security Broker) to achieve secure cloud enablement. This webinar, hosted by Ben Rice, VP of Business Development at Centrify, and Radhika Khatod, Product Manager at Bitglass, will provide immediately actionable insights into how other organizations are leveraging these technologies to secure their cloud footprints. Cloud access security brokers (CASBs) have become the go-to solutions for CISOs and security architects looking to protect data in applications like Office 365, Box, G Suite, and AWS. Still, there remains the question of what challenges CASBs solve. Where do next-gen firewalls and secure web gateways fall short? 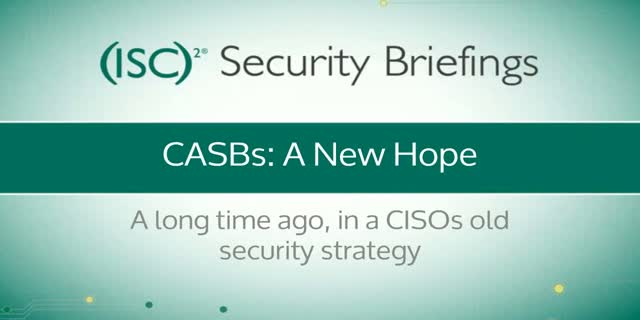 IT leaders often ask: what are the top CASB use cases? In this webinar, we explore six of the most common CASB use cases from real-time data loss prevention to threat protection. Learn how leading organizations are leveraging CASB technology to achieve compliance, mitigate zero-day threats, improve visibility over high-risk data outflows, and secure data stored in these new cloud platforms. As one of the nation’s largest insurance providers, BlueCross BlueShield is always looking to make its workforce more efficient through the use of cloud applications like Office 365. Gains in mobility and flexibility, however, can come at a cost if proper security measures are not in place. To mitigate these risks, BlueCross BlueShield embarked on a mission to achieve HIPAA compliant cloud security and mobility for all of their employees. In this live webinar, Michael Payne, Security Architect from BlueCross BlueShield and Rich Campagna, CMO from Bitglass will discuss the security challenges BlueCross BlueShield faced in deploying Office 365, Workday, and other SaaS apps. Learn how Michael Payne and his team approached data protection, unmanaged app discovery, and why they ultimately chose a cloud access security broker (CASB) for to help secure their cloud footprint. The healthcare industry is adopting technologies that give care providers rapid access to sensitive patient information, when and where they need it. While productivity is enhanced with cloud computing, mobility, “BYOD” unmanaged personal devices, and hosted SaaS apps like Office 365, the CISO is concerned with resolving the inherent risk these technologies bring with them. For the CISO, it’s important to look at everything, assess risk the right way, and have a practical mitigation plan to address issues that could lead to data loss or breaches, ransomware and other threats. In this webinar led by Mitchell Parker, Executive Director of Information Security and Compliance (CISO) at Indiana University Health and Salim Hafid, Product Marketing Manager at Bitglass, you’ll learn how to resolve the risk of cloud applications and access via unmanaged devices, and how to apply appropriate controls that enable patient care in a seamless and secure manner. Our experts will talk about the issues everyone is struggling with, and how cloud security is evolving to address them. Bitglass, the Next-Gen CASB company, is based in Silicon Valley with offices worldwide. The company's cloud security solutions deliver zero-day, agentless, data and threat protection for any app, any device, anywhere.